OPPO has been teasing the launch of an affordable smartphone boasting the latest tech at an affordable price for some time now. And now that it’s here, we can say that the hype was real. Dubbed the OPPO K1, the smartphone sports an attractive price tag, along with flaunting special features and a specs sheet that sets it apart from its rivals. If you are wondering what we’re referring to, read on ahead. The very first feature of the OPPO K1 that was teased by the brand is the presence of the in-display fingerprint scanner. OPPO has already offered this tech in its previous offerings, but the K1 comes at a very competitive price, making it the most affordable smartphone with the futuristic tech. The in-display hidden fingerprint scanner has allowed the phonemaker to keep the rear panel of the phone quite sleek, and offer a high screen-to-body ratio at the front. Moving past the phone’s USP, the OPPO K1 also offers a commendable performance with its loaded internals. The smartphone has been fitted with Qualcomm’s Snapdragon 660 SoC clocked at 2.2GHz, paired with Adreno 512 GPU. The processor is further mated to 4GB RAM and 64GB internal storage, respectively. Thanks to the presence of a microSD card slot, you can extend the memory by another 256GB. The Snapdragon 660 chipset also gets the dedicated Qualcomm AI Engine, which enables AI-backed features across the device. The K1 also carries a powerful set of cameras onboard, with a dual camera setup on the back and a high-res selfie shooter. The rear camera setup on the OPPO K1 comprises a 16-megapixel primary shooter, which is backed by a 2-megapixel depth sensor. On the front is a massive 25-megapixel selfie shooter, which comes equipped with AI Portrait and AI Beatification features, whereas the rear camera offers features like exposure compensation, Face Detection, ISO toggle, HDR mode, and Burst shot. Speaking of the high screen-to-body ratio, OPPO’s K1 features a waterdrop screen, which makes for an impressive real estate. The fascia of the handset flaunts a 6.41-inch panel. The resulting screen-to-body ratio is an impressive figure of 91 percent. The display has minimal bezels on the sides and a very thin chin, making the display one of the most immersive in the business. As for the display, it’s not just all about providing a bigger screen but also a better viewing experience. The 6.41-inch display of the smartphone is equipped with an AMOLED panel. Now, AMOLED panels don’t need any introduction as they’re known for offering deeper blacks and punchy colour reproduction. Further, this screen tech is also known for being easy on the battery and thus offering an extended life on a single charge. When it comes to smartphone offerings, brands usually cut corners to offer an attractive price or hike prices as features get better. However, with the OPPO K1, it seems that the brand has successfully managed to offer a compelling, VFM smartphone. The K1 carries a price tag of Rs 16,990 and will go on sale from February 12th on Flipkart. 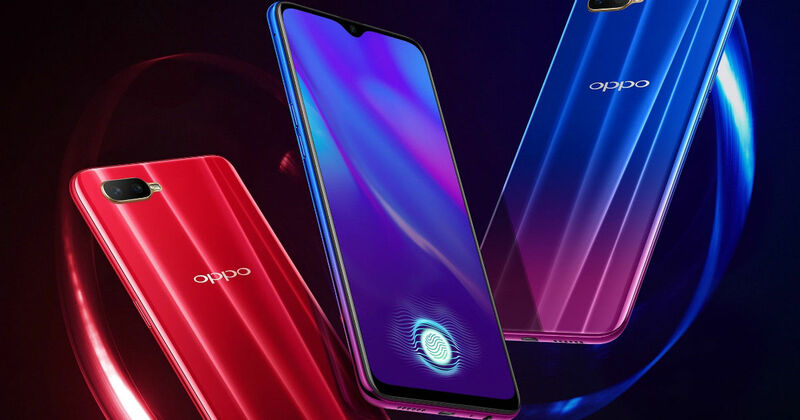 But that’s not all, making the deal sweeter is OPPO’s buyback offer of up to 90 percent value (Rs 15,300) with an additional bank discount of Rs 1,690 if you upgrade within eight months.